St Thomas yacht charters, The Caribbean. St Thomas is located in the US Virgin Islands in the Caribbean Sea and it provides a wonderful yacht charter destination, whether you are on a motor yacht or sailing yacht. With direct flights daily from many North American cities, St Thomas is easily accessible and the perfect place to begin your luxury yacht charter in the Virgin Islands of the Caribbean. St. Thomas uniquely combines the natural beauty of the Virgin Islands with a cosmopolitan atmosphere. Charlotte Amalie, the capital of the U.S. Virgin Islands, is one of the most beautiful harbors in the world and the most visited port in the Caribbean. St Thomas has two huge marinas worth noting. Redhook Marina, on the Eastern end of the Island, as well as the newly extended and up graded Crown Bay Marina. 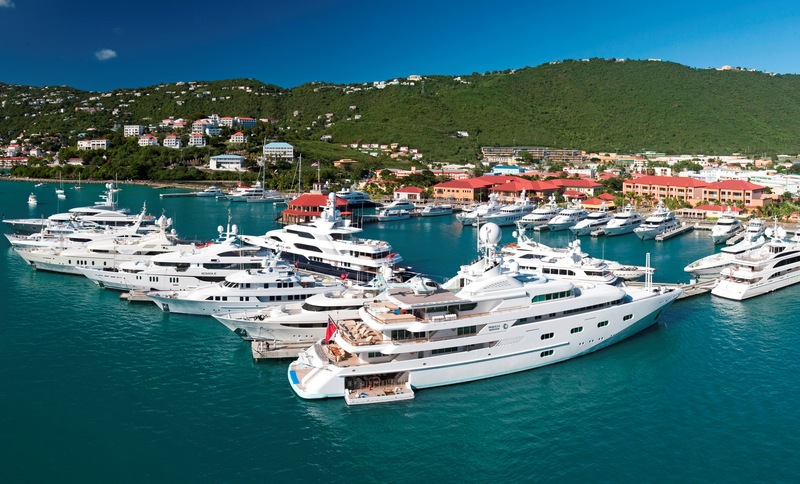 The Crown Bay Marina has ninety nine fully serviced wet slips and ten berths for mega yachts and has the best marina facilities in the Virgin Islands. The Crown Bay Marina is conveniently located just ten minutes from the international airport on St Thomas. Regular ferry services depart from Charlotte Amalie as well as Redhook, to the islands of St John, St Croix, Tortola and a few of the other Virgin Islands, making St Thomas a hub for entry and exit to and from the US and British Virgin Island archipelagos. St Thomas offers the chance to spend a morning or an afternoon shopping during your luxury yacht charter to take advantage of the duty free goods on offer or to just enjoy the hustle and bustle of the busy Caribbean port. Stylish gourmet dining, glamorous nightlife and world-class duty-free shopping opportunities are abundant in Charlotte Amalie. The city truly deserves its reputation as the shopping ‘Mecca’ of the Caribbean. As well as shopping opportunities there are also many activities including dive schools, sport-fishing charters and the George and Tom Fazio designed Mahogany Run Golf course, just to name a few. A mountainous island, St. Thomas offers stunning vistas in almost every direction. While Charlotte Amalie is full of energy, St. Thomas does also provide natural wonders such as the inexpressibly beautiful Magens Bay. There are many lookouts dotted around the island offering stunning views of the Caribbean from 1,500 feet above sea level. Drake's Seat is particularly famous for its vistas. 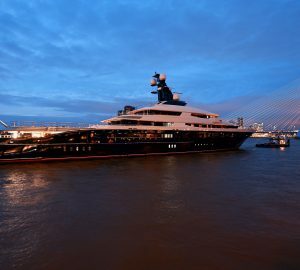 St Thomas offers guests the choice of a luxury charter that can suit all budgets. 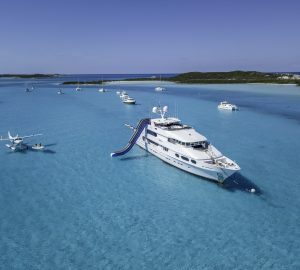 Whether you would like to bareboat charter a yacht to sail it yourself, charter a luxury catamaran with crew that will pamper you while showing you the best of the Virgin Islands or setting sail on a exclusive luxury super yacht, St Thomas is an ideal location to start your luxury Caribbean charter vacation. 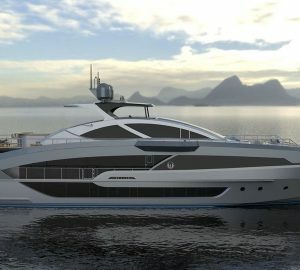 Below is a selection on St Thomas charter yachts. You can also browse the Caribbean rental yachts here or ask your expert CharterWorld Consultant to present you with a list of yachts that suit your tastes and preferences. Explore Location Guides for great destinations near St. Thomas .